We stayed at my sister's beach house last weekend. 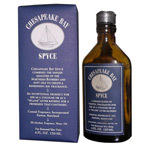 In the bathroom I discovered a delicious bottle of Chesapeake Bay Spyce that belonged to my brother-in-law. I INSISTED my husband give it a try. Much to my surprise he loved it. He is not a big fan of cologne. However, oops ... the bottle somehow found its way into his shaving bag as we packed up. I'm ordering a new bottle as a replacement for my b-i-l. He's worn it for years, and can't live without it. 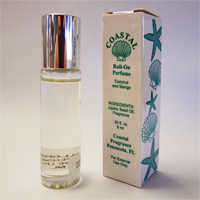 I purhcased Chespeake Bay Spyce Cologne for my husband at a..